In the time period from the birthdate of the world’s oldest person (whoever that is at the moment) to now, nearly everything in the developed world has improved: communication, transportation, mobility, medical care, infant mortality, resistance to disease thanks to vaccinations, hygiene and advances in medical treatment, longevity, quality of life, crime rates, race relations, women’s rights, civil rights, animal rights, general knowledge, car safety, air quality, workplace safety — it’s nearly all better than it was. No, it’s not perfect. To wit, if we can discern accurately from the news, the default tactic among police officers when dealing with black Americans, especially young men, is escalate quickly and overwhelmingly, as in shoot first, ask questions later. The silver lining is that the turmoil of the past few months will undoubtedly lead to a more enlightened constabulary. Yes, there is still much room for improvement in so many areas. But a middle-class person in North America now has access to a life that would have been the envy of royalty from a couple hundred years ago and beyond the imagination of the serfs, servants, slaves, and peasants who were the ancestors of most of us. You know what’s also better? Television, overall, network TV in particular. Yeah, a lot of it still is awful. But even the bottom rung of today’s reality TV shows have better production values than older stuff. And when comparing the best of today to the best of yesteryear, well, today’s stories move better and faster, the acting is superior, the stories more compelling and topical — the list goes on and on. The other thing that’s better on American TV is diversity. It’s taken a while, with many false starts along the way, but we’re finally at a point where having Asian Americans in ensemble casts is no big deal. Even better, shows that star Asian Americans draw enough of an audience to make it beyond a single season. In roughly this same milieu, there were no Asian American characters, though there were the following Asians: Fuji from “McHale’s Navy” (silly), Hop Sing from “Bonanza” (demeaning), Sulu from “Star Trek” (fascinating), Mrs. Livingston from “The Courtship of Eddie’s Father” (odd but endearing) and Kato from “The Green Hornet” (wow). “Hawaii 5-0” had a few Asian American roles but they were never more than local color. That they even existed at all is a testament to something, maybe in shows from the later 1960s a nod to the civil rights movement. But the most “American seeming” among the aforementioned was Sulu, whose back story was unknown to most. Was he from Japan? The Philippines? The U.S.A.? 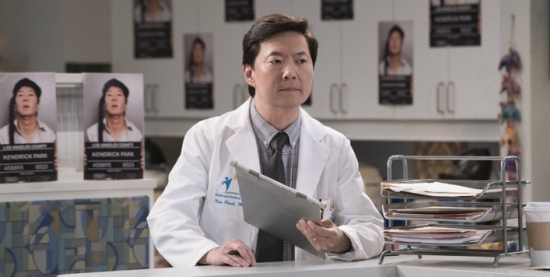 While he may have been Asian American, in the context of the show, he was simply an Earth human who spoke English with the diction of one raised in the U.S., thanks to George Takei. The next decade had three notable Asians: Det. Nick Yemana from “Barney Miller,” Arnold from “Happy Days” and Kwai Chang Caine from “Kung Fu.” This decade had to be a low point. Arnold was Pat Morita in shtick mode, doing a comedic Japanese accent, since the character was from Japan. While I actually liked the show, “Kung Fu” with the Caucasian actor David Carradine playing the Hapa known as Caine was an affront, since the role was originally supposed to be for Bruce Lee. 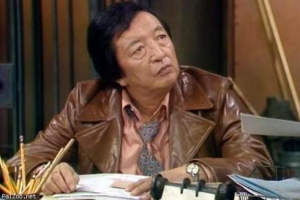 Jack Soo as Nick Yemana (can that myoji be real?) was the best of the bunch — and clearly, a character American born and raised. The 1980s gave us fare such as the “Shogun” miniseries, but also a couple of short-lived “Raiders of the Lost Ark” knock-offs in “Tales of the Gold Monkey” (which featured John Fujioka and Marta DuBois pretending to be a Japanese princess) and “Bring ’Em Back Alive” (with Clyde Kusatsu paying the bills in a role described as “No. 1 Boy”). No Asian American characters in the lot. Fast-forward to now, we have ABC’s “Fresh Off the Boat” and the upcoming “Dr. Ken” sitcom, also on ABC, debuting Oct. 2. I actually ran into Hudson Yang, the young star of “FOB,” when he and his family were at the same pizza joint as my kids and me. I didn’t realize that his father, Jeff Yang, was an old acquaintance of mine. (We also got to meet the even younger Skyler Yang, Hudson’s younger brother.) It was a nice surprise and opportunity to get caught up a bit with Jeff, whom I wrote about here a few years ago when he was promoting his Asian American superhero comic books. Unlike when I was a kid, my children’s generation can watch network TV shows not only featuring people who resemble them, there’s even one with a kid in their age range. That’s progress. So much for the good ol’ days. 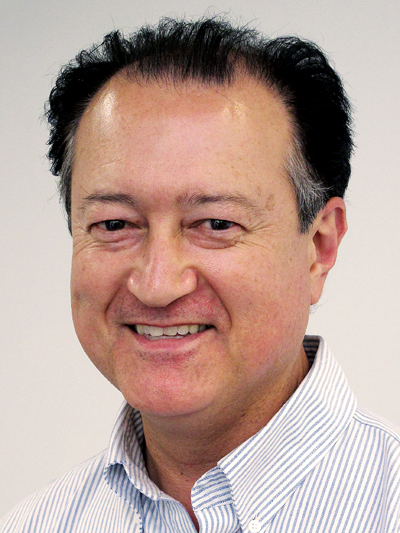 George Toshio Johnston has written this column since 1992 and can be reached at [email protected] The opinions expressed in this column are solely those of the author and do not necessarily reflect policies of this newspaper or any organization or business. Copyright © 2015 by George T. Johnston. All rights reserved.